The cosmopolitan city of Melbourne is your starting point for enjoying the delights of Phillip Island. 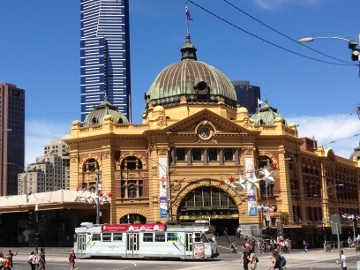 Melbourne is famous for its diversity – cosmopolitan and cultural but also the sporting capital of Australia. The city was founded in 1835 on the lands of the Boonerwrung and Wurundjeri people. Visit the Koori Heritage Trust in King Street to learn about their history and culture through displays of photographs and documents, plus art exhibitions. The great thing about the city is that most places of cultural or historical interest, and tourist attractions, are in the central business district (CBD) or within walking distance of it. The CBD is set out on the “Hoddle Grid” – the streets are wide (to allow a team of bullocks to turn!) with narrower lanes in between to service the shops and offices. These narrower streets and lanes are now the focus of Melburnians' love of coffee and food, and bohemian culture. 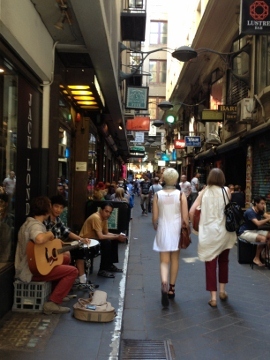 A walk through these laneways is a must do - discover charming cafes and shops, walls of graffiti or historic buildings. Lots of businesses are housed in what were warehouses or factories and some of the industrial history is still visible. Wander through cobbled lanes and enjoy an alfresco coffee. To really learn about the city's culture and history, take a walking tour. After the gold rush of the 1850’s, Melbourne became a very wealthy city and expanded rapidly. During this time many Victorian era buildings were erected. Collins Street has a great number of these still standing. Take a stroll to see these gems of Victorian architecture, and include the Treasury and Parliament buildings in Spring Street. Architectural gems are found spread all through the CBD – as you walk around, look up to discover beautiful buildings. From the splendour of Flinders Street railway station to the lovely art deco buildings dotted around, through to the modern Federation Square – either loved or hated by Melburnians! – Melbourne is an architectural treasure-trove. The Melbourne Museum covers local history as well as natural history. For art enthusiasts, visit the National Gallery of Victoria International collection in St Kilda Road, just over Princes Bridge from the CBD. The Australian collection is housed in The Ian Potter Centre at Federation Square. As well as artworks post-1835, there is a wonderful collection of aboriginal works. Access to both galleries is free except for major travelling exhibitions. Melbourne is a fashion capital. As well as major department stores on Bourke Street Mall, find chic or funky fashion boutiques in the laneways and arcades. The city is a mecca for interstate shoppers during sales! Two arcades which are a must see are The Block on Collins Street and the Royal Arcade on Bourke Street. The Block was built in 1893 in the Italianate style and has beautiful mosaic floors. 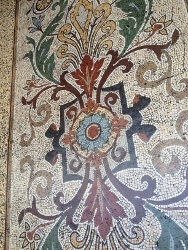 During the wars these mosaics were covered with boards to protect them from the soldier’s boots! With its glass canopy, it is a lovely example of a 19th century shopping arcade. 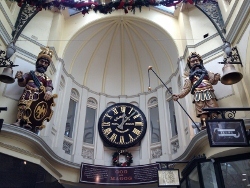 The Royal Arcade was built in 1869 and has the fierce figures of Gog and Magog at one end, to strike the hour. If coffee and chocolate is your thing you will find a couple of very popular cafes here. The CBD is bordered on one side by the Yarra River. Stroll over Princes Bridge and wander along its’ banks to the Domain and Royal Botanic Gardens. In the Fitzroy Gardens, visit Cook’s Cottage – brought out from England and re-assembled here in a nod to Captain Cook’s discovery of Australia in 1770. 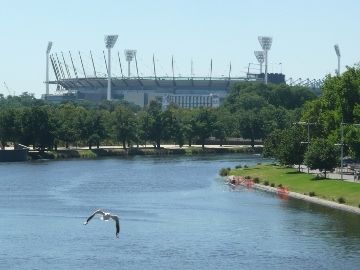 A ten minute walk from Federation Square will take you to the famous Melbourne Cricket Ground (MCG). This huge stadium is not only the home of cricket in Australia, it is also the main sports ground for Australian Rules Football. The AFL grand final on the last Saturday in September takes over the state as everyone organises a barbeque and watches the game! Visitors can walk from the CBD to Melbourne Park and Rod Laver Arena, home of tennis' Australian Open, held every January/February and bringing fans from all around the world. 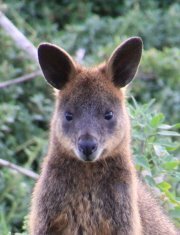 A short tram or train trip away is the Melbourne Zoo – catch up with a few of Australia’s wonderful native animals. For views of Melbourne and surrounds visit Eureka Skydeck, 88 floors above the city. A ferry ride to Williamstown provides great city views – and you can enjoy lunch on the waterfront enjoying the city skyline. 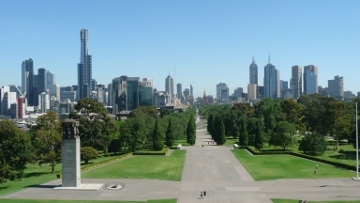 One of my favourite spots to view Melbourne is the Shrine of Remembrance, a short walk from the CBD. Climb up the steps to the balcony for lovely views of the city and bay. 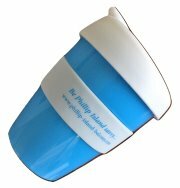 The best thing is it is free, although you can leave a donation in a box at the door to the visitor centre. 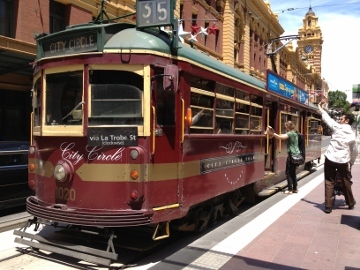 Ride the free City Circle trams which trundle around the CBD and Docklands precinct. Visitor Shuttle Buses take visitors out of the CBD to inner-city locations such as popular Lygon Street (great for eating and shopping! 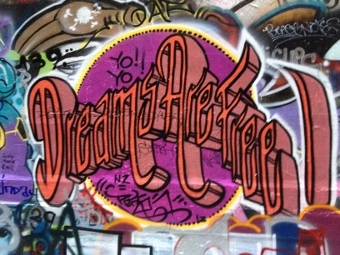 ), as well as the Melbourne Museum, Queen Victoria Market, the MCG plus a lot more. There is also a Hop On/Hop Off double decker bus tour - look for it at Federation Square. Enjoy Melbourne then head off to Phillip Island to relax!